Benllech is a seaside town on the Island of Anglesey in North Wales. 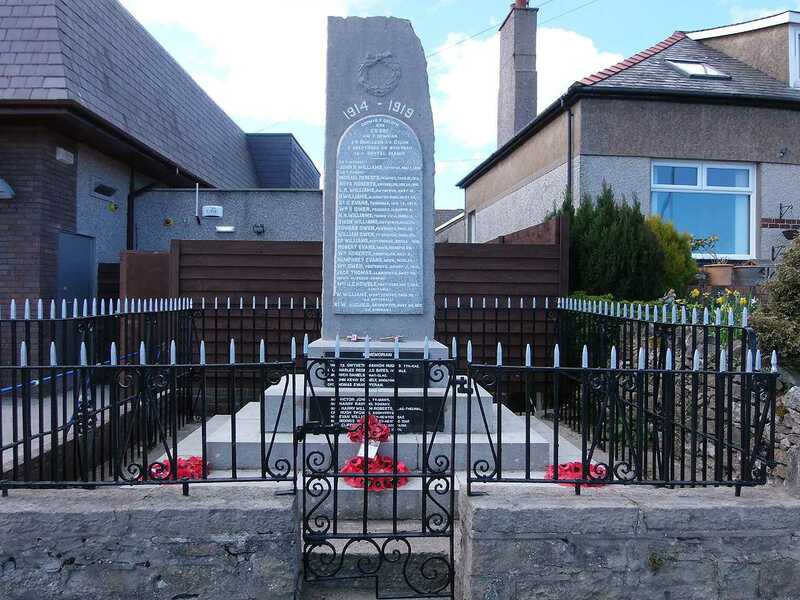 The War Memorial is to one side of the road near the crossroads to the beach. 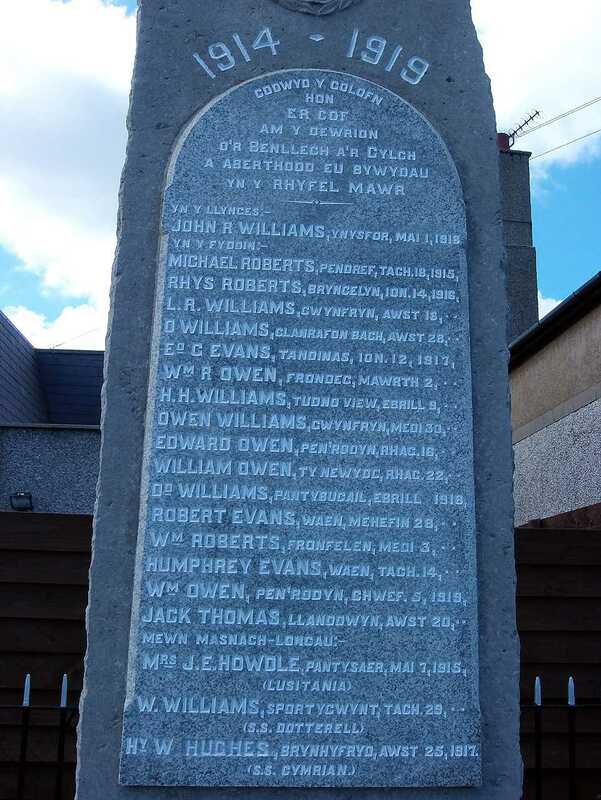 Benllech, WWI War Memorial Names. 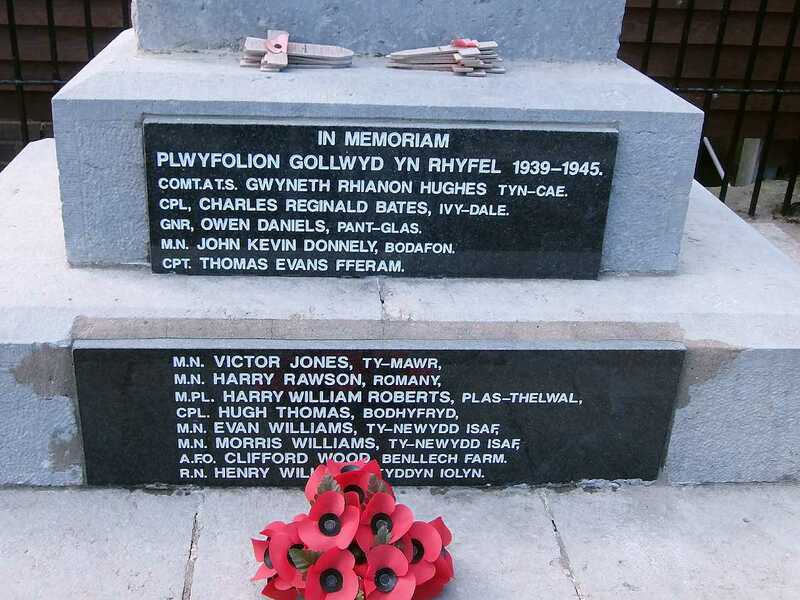 Benllech, WWII War Memorial Names. Casualties Details for WWI and WWII. A.B. Merchant Navy. Father Morris also Lost. RAF Volunteer Reserve. Flying Officer. Navigator.